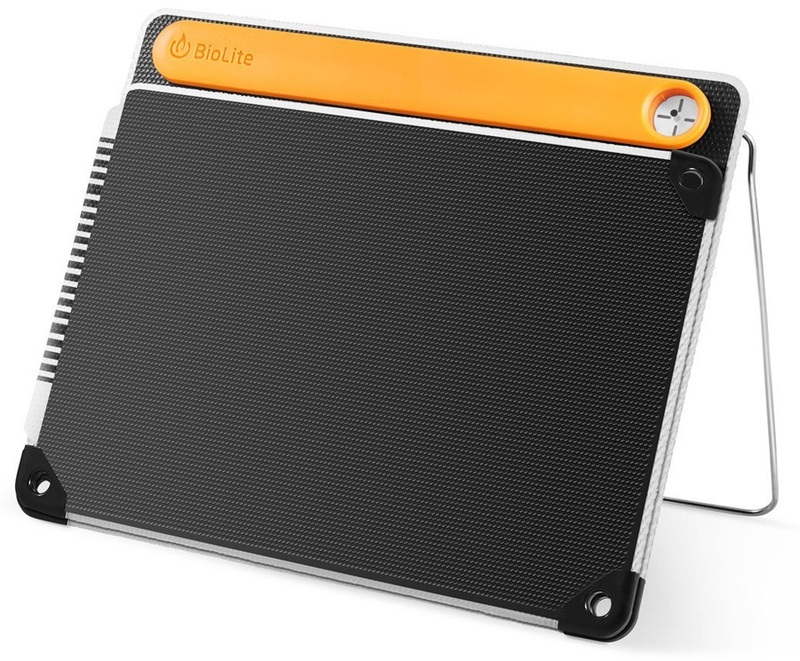 What it does: the BioLite SolarPanel 10+ is a lightweight and weather-resistant solar panel that charges electronic devices on the go making it the perfect gadget for those venturing off the beaten path. For total off-grid convenience, the 10+ includes an integrated 3000 mAh battery pack that stores energy for use at a later time. How it does it: plug your device into the USB output port; position the high-efficiency monocrystalline panel accordingly and the SolarPanel 10+ will capture and convert solar energy to power/charge your device. It can be used with smartphones, action cameras, headlamps, tablets and other handheld devices alongside Biolite's dedicated range of outdoor lighting systems. The SolarPanel 10+ includes a handy 360-degree kickstand with an Optimal Sun System featuring a sundial that helps you align your unit to capture direct rays. A charge indicator helps you visualise the remaining battery power and strength of the sun to measure your panel's capacity. On the inside, BioLite software functions to draw as much power as possible without overloading the system for faster charge times and no crashes. A micro USB input gives you a headstart, letting you charge the onboard battery before starting your trip. 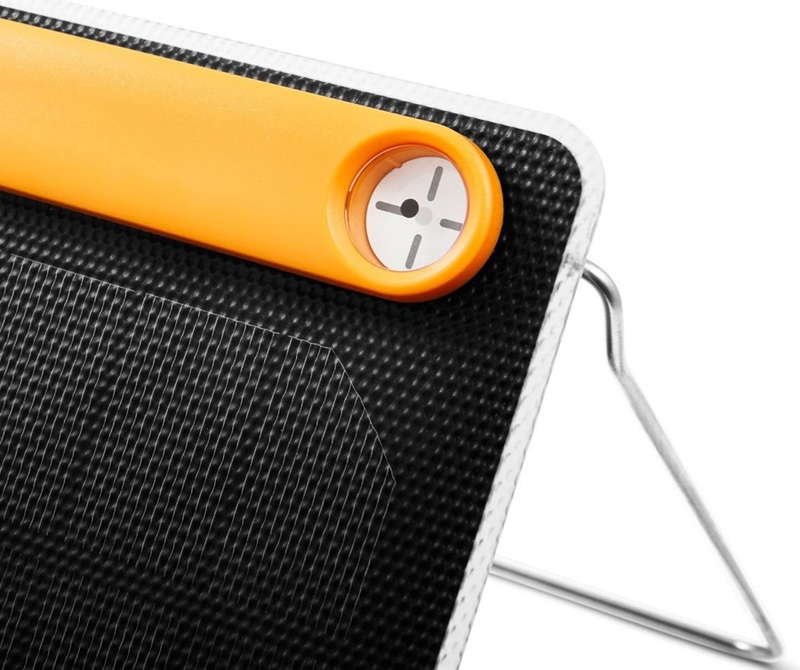 Corner latches allow you to connect the panel to a pack for charging while you hike. Who's it for: anyone looking for a portable, lightweight power source where wall sockets might be few and far between. Ideal for photographers, wintersports enthusiasts, videographers, backcountry treks, wilderness fishing expeditions, camping trips and more! 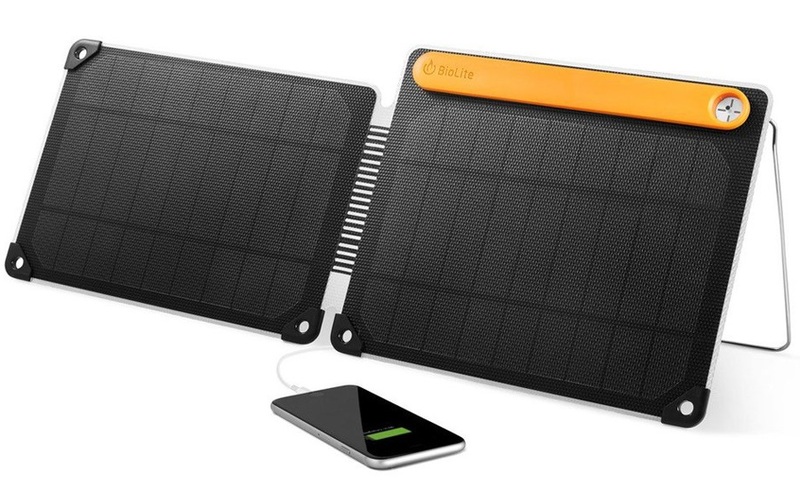 Enjoy the beauty of the outdoors without running out of power with the BioLite SolarPanel 10+! 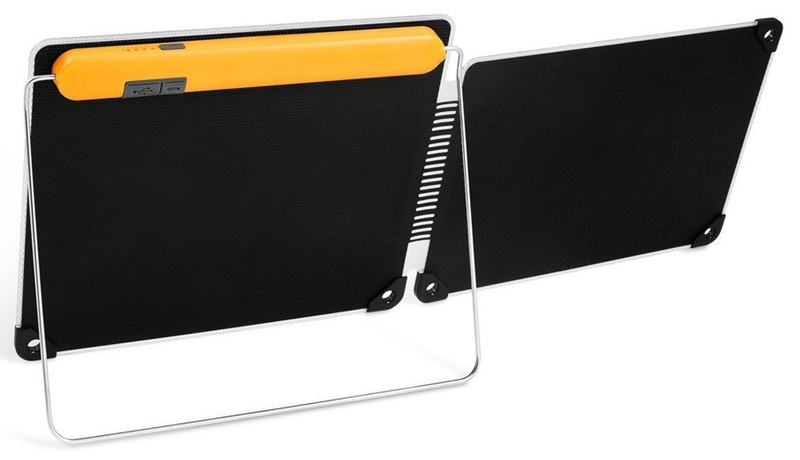 Inc. SolarPanel 10+ & USB cord. Dimensions: 257 x 208 x 24 mm | 10.1 x 8.1 x 0.94"; Panel Depth: 6.6 mm | 0.26"